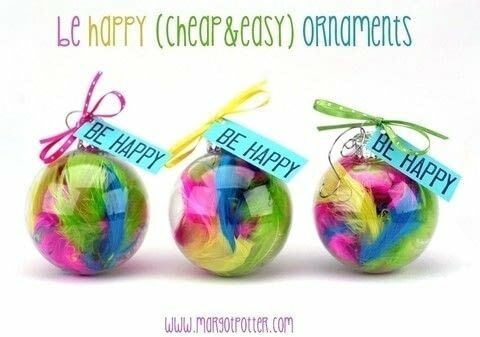 Cheap and easy DIY ornaments for the impatient crafter! 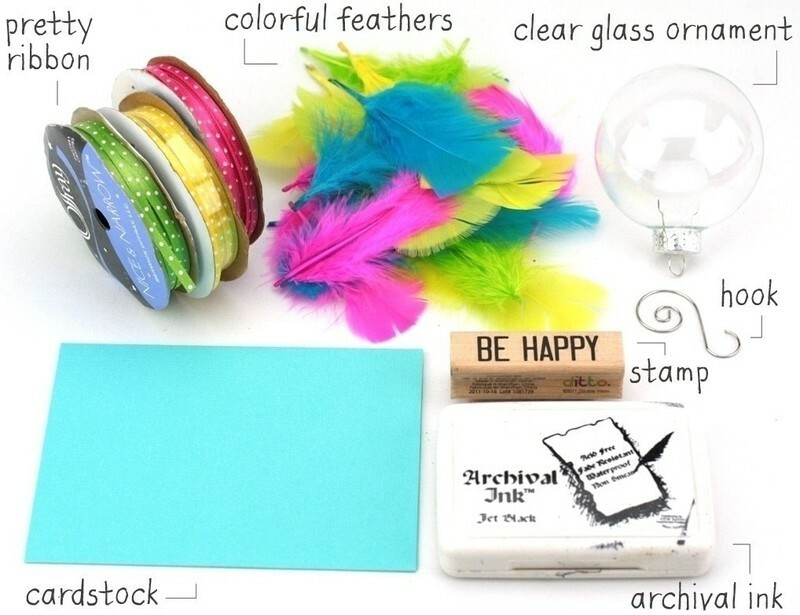 Whip up these colorful feather ornaments in a flash for your holiday tree or as festive gifts for friends and family! Shove feathers into glass ornament, the more the merrier! Stamp or hand write on some card stock. 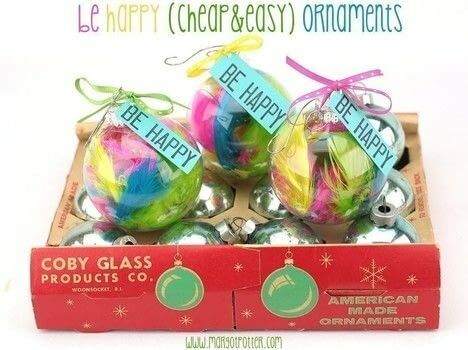 Cut tag and attach to ornament cap with colorful ribbon. Add hanger. Sip some eggnog and marvel at how cheap and easy that was!